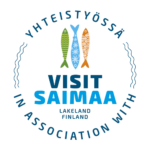 The Vattulahti (“Raspberry Bay”) holiday cottages are situated by the lake Yövesi, not far from lake Haukivesi and the nearest islands of the Linnansaari National Park (3 km). Timbered cottages, made of hand-hewn logs, are provided with good facilities to assure a cozy holiday. The shores of the cottages are safe to children. A drivable road leads to each cottage. The surroundings of natural beauty offer you fishing, boating, hiking, berry picking, skiing etc. – and of course just the peace and quiet.